JULİA ROBERTS Dizi İle Karşımızda! / Julia Roberts Is Coming to TV. We Have Some Ideas for Her. ABD’li oyuncu Julia Roberts (49), Amerikalı yazar Maria Semple’ın “Today Will be Different” adlı romanından uyarlanan dizide başrol üstlenecek. Baş karakter ressam Eleanor Floor’un bir gün uyanması ve hiç beklemediği olaylarla karşılaşmasıyla gelişen durumları ele alan romanın dizi uyarlaması, önümüzdeki aylarda yayınlanmaya başlayacak. En son 2014’te bir mini dizide rol alan Roberts, yeni dizisi için “Çok eğlenceli olacak” dedi. Julia Roberts, one of Hollywood’s biggest stars, is taking her first major step into the binge-watching age. She has signed on to star in a limited-series adaptation of “Today Will Be Different,” a novel by Maria Semple (“Where’d You Go, Bernadette”), Annapurna Pictures said Thursday. No timing or network has been announced. But if Ms. Roberts is getting serious about the small screen, there are plenty of other projects that fans (well, some of us) might like to see her tackle. Ms. Roberts knows how to mine material about women who leave, find or misplace love. Her 2010 film “Eat Pray Love,” adapted from Elizabeth Gilbert’s 2006 memoir, did well at the box office, and her performance as a frustrated wife and daughter in the adaptation of the play “August: Osage County” earned her an Oscar nomination. “Eat Pray Love” has actually produced a real-life sequel opportunity: Ms. Gilbert said in July that she was leaving her husband — because she had fallen in love with her best friend. I’m not sure if Julia Roberts has any interest in frantic Christmas light displays, but it has worked out well for Winona Ryder in “Stranger Things.” Good acting on sci-fi projects that hit close to home, like that Netflix series or shows like “Mr. Robot” and “Orphan Black, is the stuff of awards season glory — or, at least, water cooler debates. Who are the female activists working on behalf of Flint, Mich., and the Standing Rock Sioux? Ms. Roberts may be a lodestar for the modern romantic comedy, but when she plays an activist, her work is just as memorable. 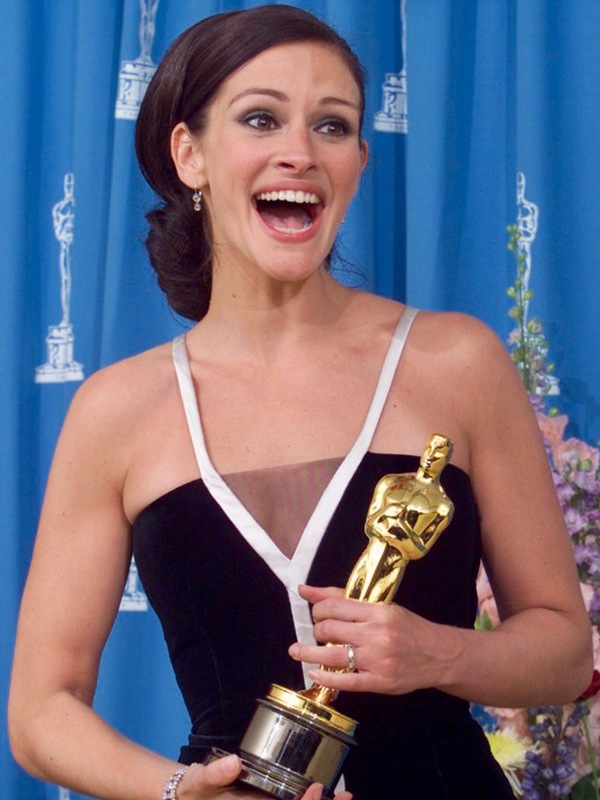 The 2000 film “Erin Brockovich” centered around a single mother who helped build a legal case against the Pacific Gas and Electric Company for toxic dumping in Hinkley, Calif. That role earned Ms. Roberts an Oscar for best actress. “Today Will Be Different” would not be her first foray into TV. In the 2014 HBO TV movie “The Normal Heart,” Ms. Roberts played a doctor who fought for more financing for H.I.V. research. NEDEN ABULKASEM? / WHY ABULKASEM IN PARTICULAR?